People today live longer than ever before. When the oldest boomers were born in 1946, the average person could expect to live into their mid to late 60s. But today, the average life expectancy for people in the United States has skyrocketed to 78.7 years, as of 2018. As lifespans continue to increase, quality of life during old age has become a more important health concern than ever before. As people age, their physical and mental health will inevitably decline, even if they’re healthy overall. Many seniors find themselves reaching a point where they’re no longer able to safely live by themselves. Common age related health concerns like declining physical strength, greater susceptibility to broken bones and other injuries from accidental falls, and memory loss can impair someone’s ability to remain completely independently. Eventually, seniors and their families will need to consider other living arrangements. One of the best options out there is to move into a senior living facility. 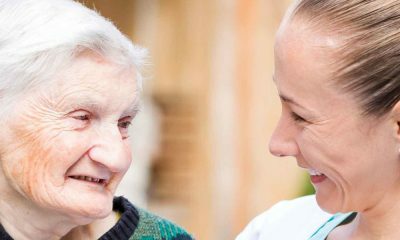 These facilities come in a variety of different forms, and run the gamut from offering just a little help here and there, to offering very intensive around-the-clock nursing care for residents. The right type of community for any given individual can depend on their physical and mental health, their personal preferences, and other factors. Senior living helps you find the right balance of assistance and independence to fit your health and your lifestyle. From cozy retirement communities with pools and golf courses, to nursing homes that offer intensive and comprehensive medical care, you’ll find that there are quite a few options out there when you’re ready to find the right place to spend your golden years and make the most of your retirement. There are several main varieties of senior living facilities, which cater to people with different needs. Some are better suited for active seniors who are in good health, while others focus more on people who need a higher level of medical care and more assistance with everyday activities and tasks. It’s not uncommon for younger, more spry seniors to spend years in a retirement community or independent living center, then move later on to assisted living as they grow older and their needs change over time. Here’s what you need to know about each type of senior living option. Retirement communities provide a fun, active, social atmosphere and living environment for seniors who are healthy, active, and who don’t really need a whole lot of daily assistance or medical care. These age restricted communities allow only residents who are 55 or older, and may consist of either single family houses, or condominiums or townhomes. These communities are legally able to be seniors only, and are one of the only types of residential development that’s exempt from housing discrimination laws that otherwise usually treat age as a protected class. 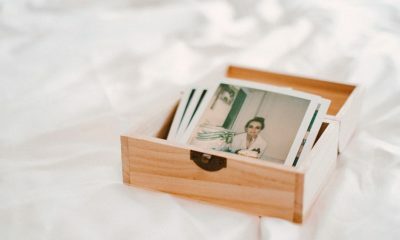 Many people in their late fifties and older feel like they’re ready to downsize from their current home, moving somewhere a bit smaller and easier to manage. 55+ communities offer a variety of amenities like gyms, swimming pools, golf courses, and community center facilities, making them a great option for people who want to be able to be social and meet new people. Many people love the retirement community lifestyle, especially for its social aspects. It’s worth noting that while these communities offer many amenities and cater exclusively to seniors, they do not provide assisted living services per se. 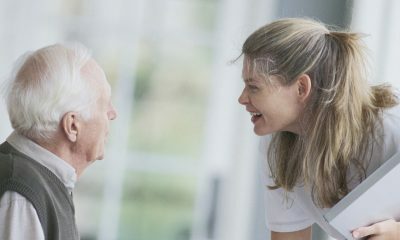 However, residents who need a little extra assistance from time to time will sometimes hire a home health aide independently, who can come out weekly or biweekly as needed to assist with certain tasks. If you or an elder family member are considering buying a home in a 55+ retirement community, here are a few things you should know. Each retirement community is unique. It’s a good idea to shop around and look at a variety of 55+ active adult communities in your area. One might be a better fit for you than another, and you should take your time finding the perfect house in the perfect community. For example, a pricier community with a full size golf course might not be worth the extra money to you if you don’t play golf. Conversely, if golf is your favorite hobby, not having a course could be a deal breaker. You can find real estate agents who specialize in selling homes in 55+ communities. The National Association of Realtors actually offers an additional Senior Real Estate Specialist certification. Agents within this speciality will have a strong knowledge of the retirement communities in your area, what each one offers, and what each one’s unique social culture is like. They’ll be able to use their expertise to help you find a good fit for your lifestyle. Communities with more deluxe amenities tend to have higher homeowner’s association fees. As we’ve mentioned, there’s no point in paying more for facilities you have no interest in using, but you may also be willing to pay a little extra to live in a community with features you like the best. All in all, moving into a 55+ retirement community is a lot like purchasing a regular house or condo. Independent living facilities are distinct from the 55+ communities discussed above. 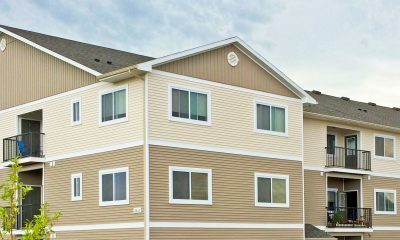 While retirement communities feature typical homes or condos like any other neighborhood or residential development, independent living facilities consist of housing units designed specifically for senior residents. 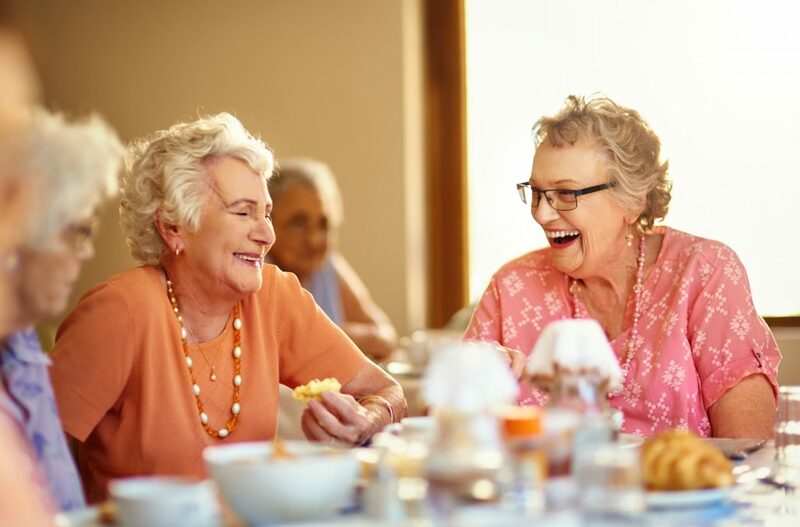 In an independent living facility, you can continue to live as independently as you’re comfortable with, while enjoying both the company of other seniors, and access to a greater selection of assistance options than you’d find in a 55+ community. Medication management. The staff at these residences can help you keep track of your medications, giving you one less thing to worry about. Linen service. Tired of making and unmaking beds and laundering sheets? Many facilities offer this service to their residents. Laundry service. All independent living centers have laundry facilities for residents, but many will also do your laundry for you if you’d prefer. Many, though not all, independent living centers are pet friendly, which is a plus for animal lovers. If you feel like you want or need assistance with things like cleaning and other chores, but don’t need intensive nursing care or a lot of assistance with basic daily activities, an independent living facility could be a great option for you. Many seniors with physical disabilities, memory loss or impaired cognition, and other age related health issues, may need more help on a regular basis than a retirement community or independent living home can provide. This is where assisted living comes in. These senior care centers help their residents balance independence with assistance, helping out with daily activities and medical issues on a regular basis. For many seniors, ongoing health issues can make it increasingly difficult to safely and comfortably live independently, even in a retirement community or independent living home. At this point, the person and their family will need to determine whether assisted living may be a better option that can offer them a better quality of life. There have recently been accidents or close calls that could be a red flag that living alone may not be completely safe. Accidents happen, but as a person gets older, they can become more likely. If you or your parent have recently fallen or had a medical scare at home, it might be time to move to assisted living. Trouble with routine activities of daily living. Seniors with health issues may need help on a regular basis with things like meal preparation, cleaning, personal hygiene, and other chores and tasks. Difficulty keeping up with bills and finances. Many seniors who live on their own start having trouble keeping up with which bills are paid. In assisted living, you don’t have to worry nearly as much about those kinds of things, giving you one less thing to worry about. Skilled nursing facilities, often referred to as “nursing homes,” provide a more intensive level of assistance and medical care than a typical assisted living facility for seniors. These are a good option for people with serious chronic medical conditions, whose independence is unfortunately limited as a result. Skilled nursing facilities are staffed by licensed medical personnel, including registered nurses and nursing assistants. They also offer services like physical and occupational therapy. Residents have access to around-the-clock care, and these facilities can accommodate people with even the most serious disabilities. In many cases, the costs of nursing homes are actually covered by Medicare. This can include room and board, physical therapy, speech therapy, and prescription medications. Many nursing homes have semi-private rooms, which are shared with another person. However, private rooms may also be an option at some facilities. Does your loved one suffer from Alzheimer’s disease or dementia? Unfortunately, it is estimated that more than 5.5 million people in America are suffering from Alzheimer’s disease, but only one in four are diagnosed. Alzheimer’s is a form of dementia and is estimated to account for 60-80% of dementia cases. Symptoms of dementia describe deteriorating memory loss or thinking skills that impair an individual’s ability to perform daily tasks. Other than memory loss, this includes impairment in visual perception, good judgement, mental reasoning, communication, and attention. If your loved one suffers from Alzheimer’s or dementia, memory care homes are an extremely important resource for you. Family members and friends often become the caregivers of a person suffering from memory loss. Sadly 35% of caregivers report that their health has worsened because of the physical and emotional strain. In cases like this, memory care homes are the most feasible option for burnt-out caretakers. These homes ease the burdened by offering specialized care and professional support. From cozy 55+ retirement villages where you can socialize with other seniors, play golf, and attend social events, to skilled nursing facilities that cater to people with chronic progressive health problems, there are a lot of options out there for senior living. The degree and type of care that you need. How independent and active are you (or a parent) able to be? Is the senior ambulatory, or do they need a walker or a wheelchair for mobility? Can they handle basic tasks like taking medications and bathing themselves on their own, or might they need some help with those things? The person’s mental state and neuropsychiatric health. Are they of fully sound mind, with minimal age related memory loss and cognitive decline? Or are they suffering from a progressive brain disease like Alzheimer’s or Parkinson’s, which could affect their judgement, decision making, and ability to keep themselves comfortable and safe on their own? Financial issues and the cost of care. Unfortunately, the best senior living facilities — including both independent and nursing homes — don’t come cheap. Some skilled nursing facilities, and even assisted living in some cases, may be covered by medicare or other health insurance. The person’s long term prognosis. In independent living and assisted living homes for seniors, residents may be asked to leave if the facility is no longer able to provide the level of care that they need. This can be an issue for people with health conditions like Alzheimer’s that progress and worsen over a long period of time. Many of these patients will need to relocate at a future time to a different facility that provides a higher level of around the clock care. When living on your own becomes too difficult, moving to a senior care facility can be one of the best choices you can make, whether it’s for yourself, or for an aging parent. These facilities give seniors the assistance and care they need to stay safe and comfortable, while still giving them the right level of independence. With plenty of opportunities to socialize and participate in fun community activities, the right senior living home can help make your golden years some of the very best times in your life.